A 77 year old woman was hit by a dump truck as she was walking on the double yellow line of Flatbush Avenue at Atlantic Ave, a very busy intersection near the Barclays Center. She was rushed to the hospital but didn’t survive. The truck driver stayed at the scene and wasn’t charged. Read more in DNA Info. 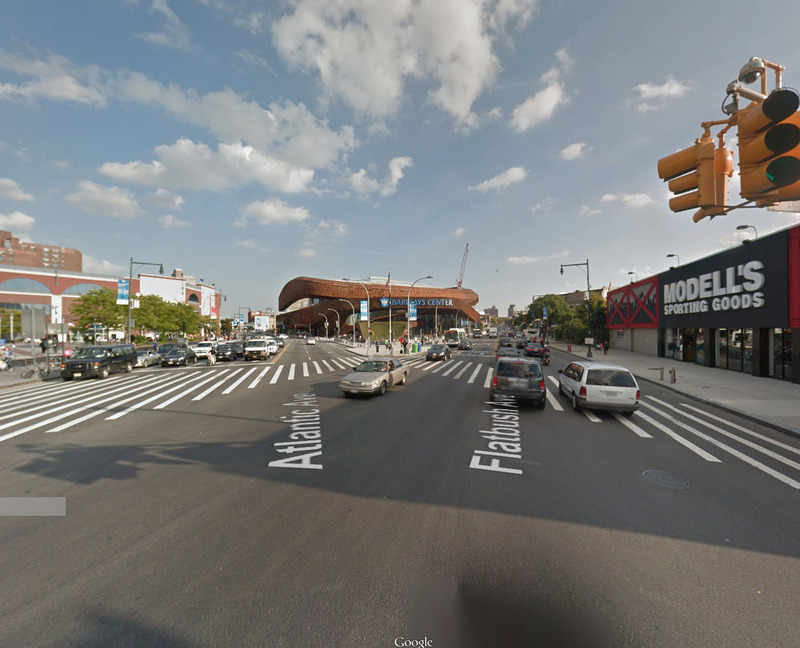 The intersection of Flatbush Ave and Atlantic Ave is a very dangerous intersection in Brooklyn. According to NYC crash mapper there was an average of 5.16 collisions per month at this intersection between August 2011 and February 2014, 4 pedestrians, 4 cyclists, 22 vehicle passengers and 9 drivers suffered personal injury after being involved in an accident at this intersection.